New Sin Bundang “Tentative” Opening Date: Oct. 28 | 맙소사! After a bout of floods in Seoul, the opening date of the Sin Bundang express subway line has been pushed back yet again, to October 28. 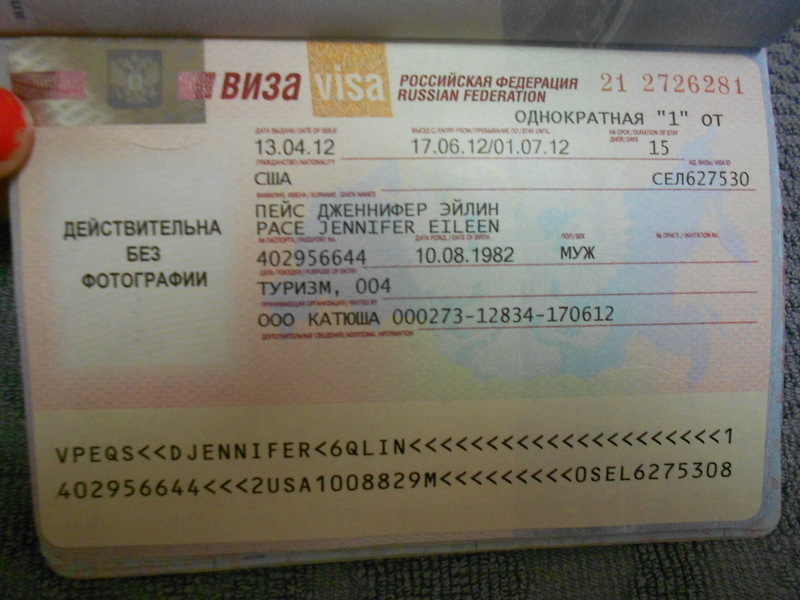 That’s a bummer because it’s a week after my birthday and I wanted to go party in Gangnam. Even without the flooding, it looks like they’d be pushing back that September 21 date. I’ve been by a few of the other stops on the line, including Gangnam, and noted that essential installations were still going on, specifically handicap-access elevators and sidewalks. I snapped some pictures with my phone, some while riding the bus, so the quality’s lacking. The new Gangnam station entrance for the Sin Bundang line. Note the absence of sidewalk. 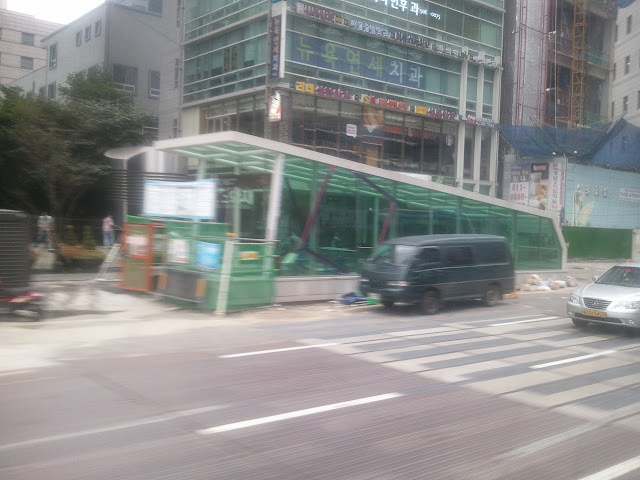 And here’s the new Yangjae station. Still in its original wrapping. 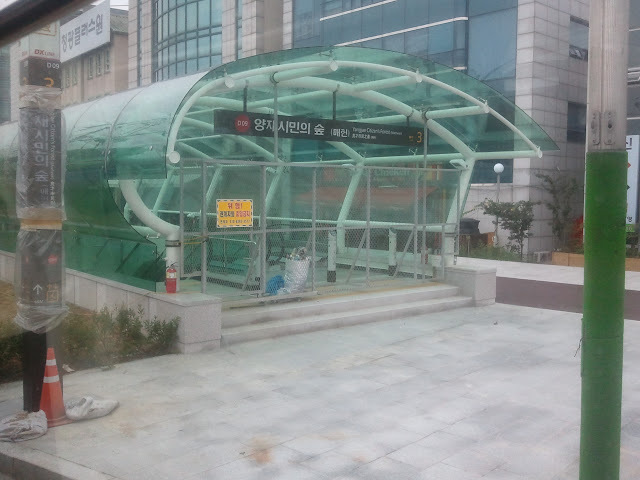 Yangjae Station looks much more ready for the opening date than Gangnam.